Welcome to Hirosaki, a city whose scenic cherry blossoms, historic castle and delicious apples are renowned throughout Japan! Traditional architecture and vibrant culture abound, radiating that uniquely Japanese feeling. What’s more, students from around the world come to study at Hirosaki University, and we have plenty of visitors and sightseers from abroad. 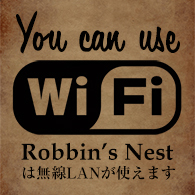 Just two minutes’ walk from Hirosaki Station you’ll find Robbins Nest, a pub (one of very few in Japan) where all–men and women, young and old, from anyplace in the world–are welcome, which of course includes visiting students and sightseers. 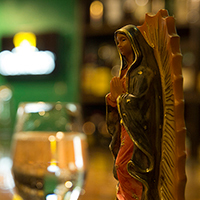 Great music and drinks know no borders, after all! Come on in and tell us about your home. The Nest is a popular meetup spot on weekdays, and hosts all kinds of events and live music on the weekends. Plus, we’re open all year round. If you come inside and don’t find anyone from your home country, don’t worry–our staff all can speak English, so feel free to strike up a conversation. Ask about Hirosaki, about Japan, about anything you want to know. We’ll be happy to help in any way we can! The Japanese people sitting by you might just be interested in what you have to say, too. If you feel like making Japanese friends, we bet they’d be happy to teach you a little Japanese too. We’ve had foreign customers from all sorts of countries and all walks of life. Many come to cultural exchange events at the Nest, or put on concerts, or come traveling or have a barbecue with us. 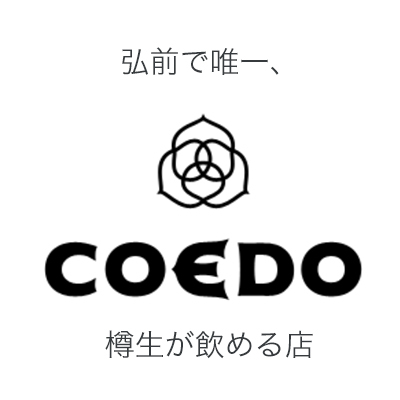 We’d love to help you enjoy your time in Japan as much as possible. Thank you for coming to Hirosaki!